There's no shortage of HubSpot reviews online -- probably because HubSpot is used on over 76,000 websites around the world (source). All of these comments are certainly true, don't get me wrong, but I'm sure many of you are wishing these reviews would dig deeper into what makes HubSpot so special. 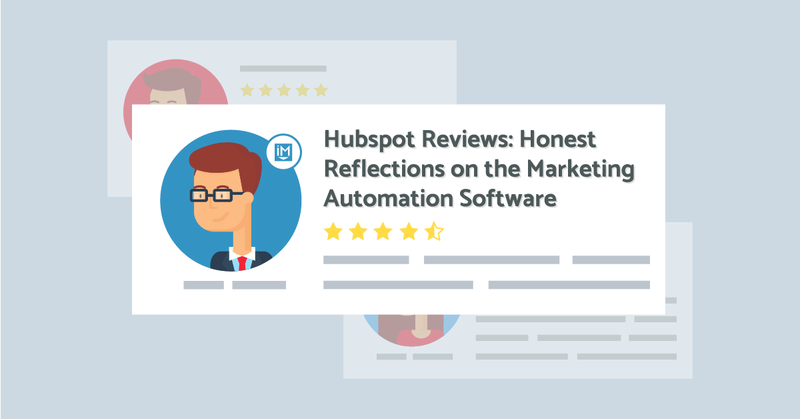 To help you really get to know HubSpot's software, in this article, I'll share some of the most insightful HubSpot reviews from across the web, including insights from our experience with the software as an agency and with our clients. How Does HubSpot Rank Against the Competition? The marketing automation software industry is extremely competitive right now. As more and more companies make inbound marketing a bigger part of their overall strategy, the demand for digital marketing software has increased tremendously. However, despite great offerings from software like Marketo, Pardot, and Act-On, HubSpot continues to rank higher across various independent review websites. There are plenty of software platforms that allow you to perform various digital marketing tactics effectively -- but clearly, HubSpot is held as the best all-in-one by many. HubSpot is often considered synonymous with inbound marketing. After all, HubSpot co-founder Brian Halligan did coin the term. What Are Users Saying About HubSpot? I could sit here and relay all of the great things that people have said about HubSpot but why do that when you can hear it straight from the horse's mouth? Even with no experience, HubSpot is easy to learn and quickly start using to implement the inbound methodology. "I love how easy to use the features are - I didn't need any training on the software to get started, and there are great resources online for training as you go, so when I find something I need help with, it's easy to figure out. The library of marketing resources has been invaluable to my work - Hubspot really provides a conprehensive solution, covering not just the software to get inbound done, but also the resources regarding why inbound and industry best practices. Essentially, Hubspot lets you focus on creating great content, without worrying about the technical details of website management." Email marketing is a critical component of marketing in the digital age. Capturing and nurturing leads can be completely automated with HubSpot. "I love the ability to set up automated workflows so that I don't have to worry about setting up a million follow-up tasks. I can simply import contacts with a few clicks and all the correct emails go out to our leads and customers. I also love the email and landing page capabilities. There are so many templates available, so it's easy to try out new designs. The drag and drop modules make it so easy to customize the email or landing page to how you want and need it to look and function, all without having to know html or css. Being able to create CTAs and then use them on other web pages through the embed code is also a great feature." HubSpot integrates smoothly with a wide variety of business software, making your life easier. "As a marketer of the age of the customer, I'm always looking for helpful tools to improve the inbound strategy of the company I work for. The main goal is to integrate all different aspects of the job into one - easy, yet comprehensive - platform. Hubspot was the answer to all marketing prayers. I've been using it for about 7 months and I'm still finding new exciting features, day after day. At Neosperience, my sales colleagues specially love the possibility to integrate Hubspot with other services - Salesforce, to name one - to build a truly omni-channel strategy, and accompany contacts from awareness to post-conversion." HubSpot aligns sales and marketing. "Our Sales Development team now lives in the CRM tool! We are so excited to have added Sidekick for Business, which allows our Sales team to utilize sequences for client nurturing. We also added a NetSuite integration. While HubSpot is the center of our marketing world, we are now able to sync it with our data center. On top of all of that, we just added the Website Add-on, and our new website is AWESOME. I am more than thrilled with HubSpot. It is here to stay." 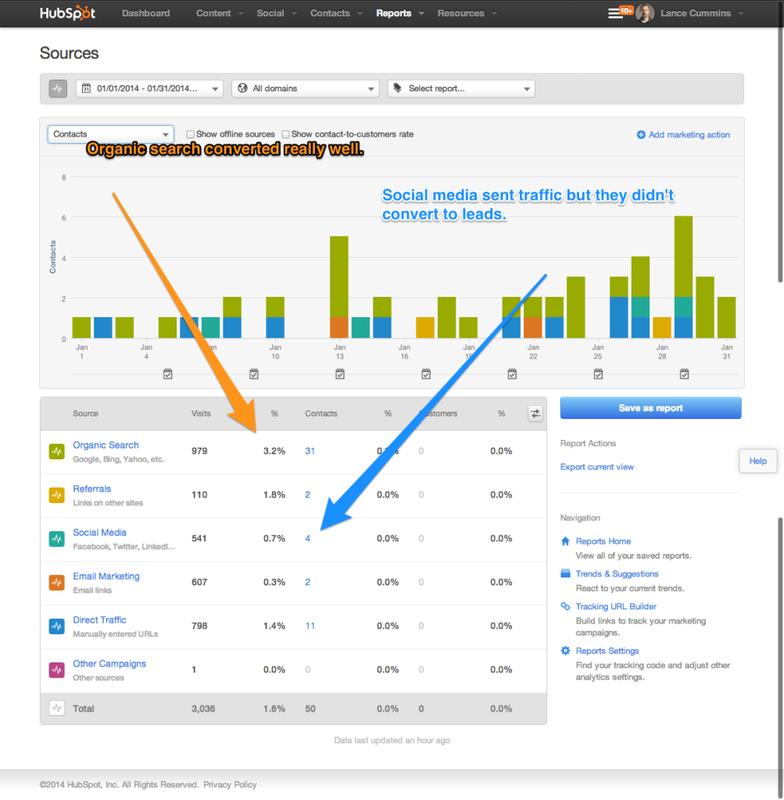 HubSpot helps you solve one of the biggest issues marketers struggle with right now -- tracking social media ROI. "The ability to manage your social media presence and HubSpot is a great feature. We have noticed that we now can track how many people are coming back to the website from our social media campaigns and then how many of those are converting into actual leads." HubSpot has built-in SEO so you don't need any technical skill to ensure your content will rank well. Blogging platform - has an easy to use interface and provides SEO optimization guidelines and suggestions. SEO best practices provided are something a newcomer to the inbound philosophy can't live without! HubSpot's powerful lead scoring features deliver better leads to your sales team. "It's imperative that our sales team is provided with marketing qualified leads, and the integration of HubSpot with SFDC could not automate this process any better. This integration eliminates almost all of the manual aspects of lead scoring - simply create a numerical value based on a certain engagement and the leads funnel into our sales queue accordingly." HubSpot has a ton of resources and training materials available, making it easy to turn any employee into an inbound marketing expert. "Hubspot's training tools and educational materials (blog posts, trainings, webinars) have helped me introduce our new sales hires to marketing. The trainings are self-guided and I trust that they are learning how to manage an inbound marketing process in Salesforce effectively." HubSpot provides analytics designed for sales and marketing teams -- not IT departments. "HubSpot has been essential to the smarketing efforts at Fonality over the past 18 months because it makes essential data and reporting accessible to everyone--even those of us who are not experts in Google Analytics--and it makes it seamless and easy for us to create and track results from marketing campaigns. Most importantly, we can monitor visits and lead conversion activity in as much detail as we need--down to the lead level--again, without having to be brain scientists or rocket surgeons, as their promotional materials say. They offer an off-the-shelf, native integration with Salesforce.com and their help desk staff is super knowledgeable and able to help with any little issues that may arise in getting the tools to talk to one another." [Is HubSpot worth the price?] What’s really perplexing to me though is the fact that businesses will blow thousands a month on the Yellow Pages, or radio, or direct mail, etc—all of which have very short-term results and practically no residual—yet these same companies hesitate to spend a few thousand dollars a year on a system that will bring them leads, at an increasing rate,FOREVER. What am I missing here? For me, spending 9k a year on what amounts to 90% of my company’s advertising is utterly laughable. When it comes down to it, if companies really understand how much $$$ HS will save them (assuming they do their part) then they’d be offering to pay more for the system just to get up and going tomorrow. I really mean this with all sincerity—It’s worth every penny." We could literally share thousands of glowing HubSpot reviews because new reviews are being posted daily, but you get the idea. While reviews are important when considering which marketing software to invest in, what really matters is results. Let's dive into some case studies and look at the actual numbers behind the overwhelmingly positive HubSpot reviews. Back in late 2013, Nectafy decided to put HubSpot to the test for three months, writing detailed reviews along the way, and sharing all of the pros and cons of immersing yourself into the inbound methodology with HubSpot. Traffic went up... by a lot! Nectafy saw a 45% increase in traffic month over month, with 95% growth in organic traffic over the final month. They experienced a 39% increase in leads month over month. All of that extra organic traffic paid off, as it converted more leads than all other sources combined. Mention is a French SaaS company targeting enterprise customers. They help businesses monitor their brand and their competitors, across the internet and on social media with real-time updates. Although they were already successfully marketing their brand online, their newly-hired Head of Marketing, Ben Twichell, set out to kick their lead generation into overdrive. Paytrail uses cloud-based to process payments for over 10,000 online businesses. After a few years of doing inbound with poor tools, in 2014, Paytrail turned to HubSpot. Although they had gained some strong traction, they weren't satisfied with their marketing process and sought out an all-in-one solution. Since implementing HubSpot, their sales and marketing have improved and their processes are seamlessly organized. With so much momentum on their side, there's no sign of slowing down. Paytrail is quickly becoming an authority in their field. In fact, an ebook on SEO that they use for lead generation was downloaded 600 times in just two days! By now you know where we stand on HubSpot -- we love it. Not only has HubSpot made it easier to grow our agency, but it's made us more effective in the services we provide our clients, as well. To keep this fair and unbiased, however, I have to address a couple of the downsides of HubSpot. 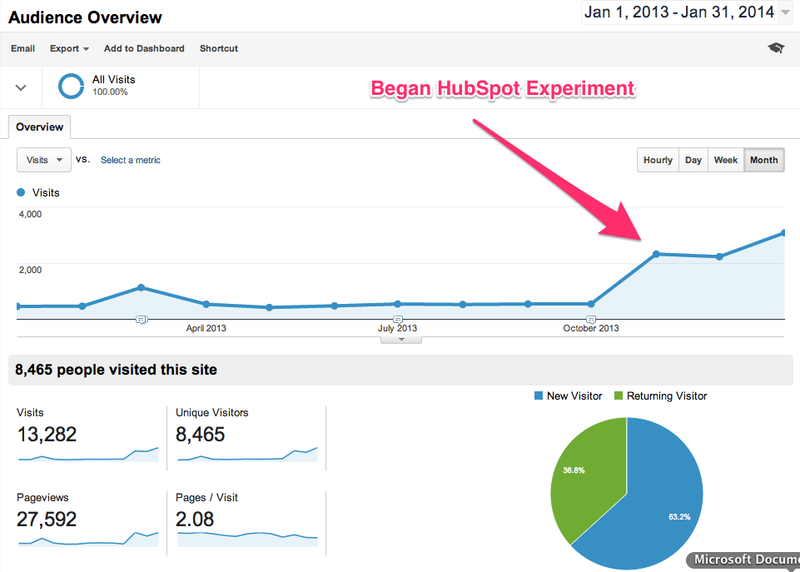 We started using HubSpot when it was new, and frankly, it was much easier to learn than it is today. Now, HubSpot has significantly more features and it's a more powerful and robust platform -- which is great, but all of those features can be intimidating at first. A lot of HubSpot reviews will rave about how easy it is to figure out, but you have to keep in mind that this is mainly when compared to other options on the market (i.e. Marketo). It will still take some time to learn all of the terminology and tools. My recommendation is to focus on one tool at a time as you onboard and work your way up over the course of three to six months. That way you're getting the most out of each tool and within six months, you're getting a ton of value out of the platform. Depending on your level of HubSpot knowledge, it also can be difficult to look at a segment of leads that converted and measure what activities (at a macro level) really impacted conversions. Yes, you can go into each individual timeline and track their behavior on your site, but it would be extremely helpful if we could do it on an overarching level. Fortunately, the value we get from HubSpot far exceeds these minor issues. In fact, I would say that the page performance tool alone justifies the price tag because knowing how my top pages are performing gives me a ton of insight to where I need to focus. HubSpot is a significant investment, especially for small businesses and it isn't a decision you shouldn't take lightly. Without question, however, I can say that investing in HubSpot's platform was the best decision I made for my business. The results our clients have experienced with HubSpot's tools only increase my confidence in these powerful tools everyday. That's why we've prepared a comprehensive guide that examines all of the pros and cons of HubSpot, including comparisons to their top competitors. Although we believe HubSpot can benefit most companies, we know it's not right for everyone. Get the full guide here or using the link below before you sign on the dotted line.